The Love Actually reunion on behalf of Red Nose Day came together yesterday, at lightning speed, on Bankside in Southwark, just outside Tate Modern. 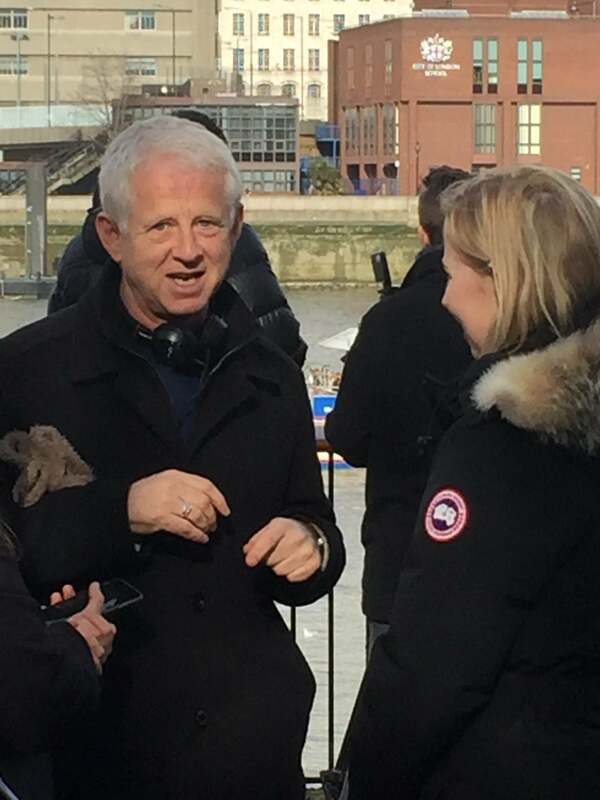 Dubbed, Red Nose Day Actually, the shoot, with Richard Curtis back at the helm, was scheduled for another location, that fell through at the last minute. However, Bankside, with its great views across the Thames to St Pauls, proved just as fitting a venue. In the scenes filmed yesterday, Liam Neeson is reunited with Thomas Brodie-Sangster 13 years after they performed together in the film Love Actually. And then, along comes Olivia Olsen, who was just 11 when she played Thomas’s childhood sweetheart. FilmFixer manages the film office service for Southwark Council. FilmFixer director Andrew Pavord says, “We were thrilled to turn around the location request at the last minute – making this fantastic shoot possible. “Liam Neeson had flown in especially just for the day’s shoot – returning to the US the very next day – so it was vital that the permitting was sorted, despite the last minute problems. “Remember this is all for charity – everyone has to pull together for this great cause. We reduced the fee to film there for the day accordingly. The location was booked all day, and the shoot ran from 10.30 to 3.30. “We took the call just the day before, in the afternoon, when the planned location fell through. “Despite the last minute notice, the shoot was no secret and drew a huge crowd – many of whom were wearing their red noses. It was just a brilliant atmosphere – everyone was so good natured, the weather held out, and the shots look brilliant.